Today, 4/6/2012 is the day set aside to commemorate Good Friday. Today also happens to be full moon, a night of full reflection of the sun’s light. It is an interesting combination that really points to God’s fullness in operation on this day. Good Friday is always a day of fullness. It is a singular moment that has changed all to make things right. On this day we remember what God did in that one moment that is really the center of all that went before it and all that is to come regarding the story of God and mankind. See, there was another singular moment, one that defines all that was to come, and that was the day mankind separated from God and want to define all for self. It is the day when that which was declared as “good” became twisted. It is the day when pain, sorrow, despair, and death became realities. It was a day that earth tilted on its axis and moving more and more off centered since. It was a singular moment that needed another singular moment, the one at center when God made the way to begin restoring that which was broken, starting with allowing people to interact with God and choose to follow His ways. Today was both a wonderful and awful day. It was a day God showed all of who He was and showed His love. Sure, some do not see the love for what it was, for Jesus endured much. All of the pain, sorrow, and betrayal of life in the fallen world, He took on. The depths of human suffering Jesus endured. The most painful death mankind ever created, Jesus went through, out of love and to make things right. This center point in time, this action, makes it possible for all to turn to God. It is a choice that is given and received by all that receive. The fullness of God’s grace and justice happen at one point in time creating this singular moment and display love and setting the scene for all to be right. Take some time and think about this center point of God fullness. This point where God reveals fully His love, and it is shown to all. There will never be any other point in time similar. It is the center of God’s plan and everything that went before and all that follow are rooted at that one point on the tree when the words were declare “It is finished.” And that which was demanded was met. This point is a great, wholly wonderful, awesome, horrible, and tragic day. A day needed because of my own desire to run thing my way apart from God. Now, there is another singular point in time coming, the time when all corruption will be no more. The time when all of creation will be set back in proper alignment and no longer twisting out of control. For Jesus will return and set all right. All will be under Him. The worst that is, will be undone and no more. All will be made new. But that day would not be coming, if not for that one fateful Good Friday. It was a day foretold after the other singular moment, after an act of sin set death and decay in motion. So the day coming where Jesus returns and the day of corruption are met at God’s center point of the cross where relationships with God and man and enabled to be made right and God’s plan and the story of God and man plays out in full course, in all fullness, love displayed and that center point. If you not, please meet God at that center point and take His gift of grace, for there never ever will be a more precious and costly gift, that cost all. Today’s thoughts focus on Christmas in the present; the here and now of the celebration. It is the actively taking time to recognize God’s gift of coming to earth, the “God with us.” So, the day is spent celebrating love. We engage in loving others in varied ways as a reflection of God’s gift of love to us. It demonstrates the “we love because he first loved us.” This celebration of love is highly anticipated. How we demonstrate love towards others goes through moments of preparation, anticipation, and then celebration with fellowship. We identify how we are going to bless others in preparation. We love forward both to giving and receiving. Even children look forward to reactions to simple small gifts and parents and family then show love by showing appreciation for the simply things. We want to see others touched by our gifts of love. Then comes the actual moment of giving which comes with celebration and fellowship. We consider others and look forward to seeing how we touch them. Granted, many times we can swing and miss in the connection. Yet, no matter what there are special times in the present moment of Christmas. These moments can display God’s love, for He thought of each of us and gives a gift beyond measure if it that gift is received. We are able to enter in relationship to God rather than continue in the separation due to our own falters and twisted being apart from God’s ways has been repaired and reconciled if agree to accept the gift and let it change you. If not, then these moments are moments and that either gives you a piece of love or builds you up, or fall short. The moments that do touch and precious and each moment forward it is a part of you as it enters from the present into the past. So, this year, in the hustle, the bustle, and the interaction with loved ones. How were you touched with love? How did you touch others? Where did you get a taste of love? For even in the worst of times, the driest of years, God’s love and reflections of love are around. For always in the Christmas present, and every day, God shows His love. He shows by his own interactions, by the loving acts of others, and your loving actions. God takes whatever is now, uses it to draw you closer to Him. So embrace the moment and accept the love. In whatever the season: be it pleasure or pain, planting or harvest, drought or abundance, storm or calm, joy or sorrow. God will use whatever is, in this moment and His love is there to be found for always in Christmas present and beyond God is with us, there is peace on earth and goodwill to mankind. good website for basic information on the Holiday if found at this website: http://www.hebrew4christians.com/Holidays/Fall_Holidays/Rosh_Hashannah/rosh_hashannah.html. The article has two areas that bring thoughts to me find. God did in creating the world and us. the start of the King doing what he does to make things right. giving all of self until reach the end of self: a total submission. you what to remember and what to move forward into change. Celebrate God. Remember Him and His work in your life. 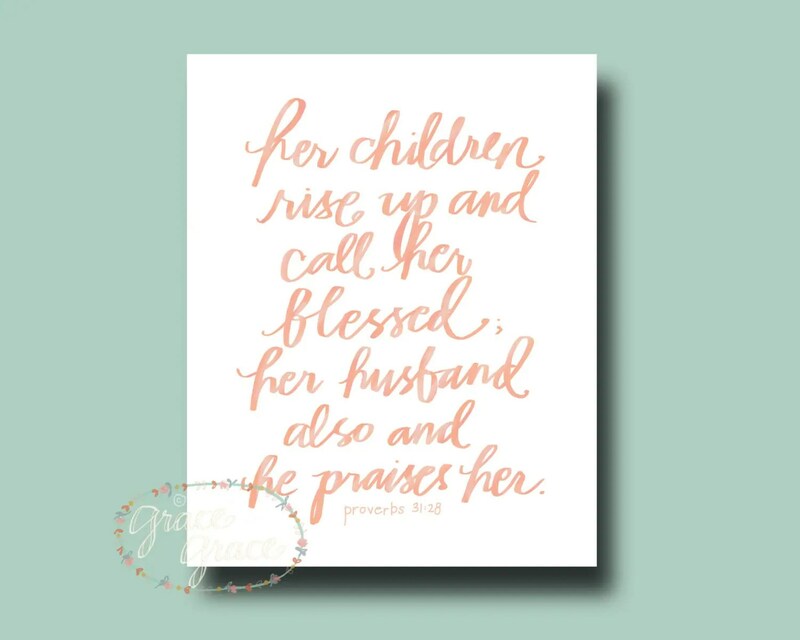 Change course from where you left His will and be awakened to what He is directing and calling. For Today is the day. Celebrate. Repent. Awaken. These are the words for today. In this is found renewal. People in our life come and go, everything has a time and a season. Sometimes there are times of parting as people go on to their next phase in life. In the past I have had good college friends move on in their life and we still connect or touch base every once and awhile but those relationships are changed, never what they were. Today, the person who I consider my best friend is moving far away. It is a good thing for him, time to move on, move ahead, and move forward. Now granted since we have both gotten married we have spent less and less time doing stuff together as we focus on life together, but we were always a phone call away and there was always time to get together as needed. Now he is moving to Oregon, a place a long, long way away. No more getting together to watch a football game or just hang out and talk, that time and season has come to a close. Yet, no matter what the distance he will always be like a brother to me which is interesting because my biological brother lives on the East coast, and he will live now out on the West coast. The fact is relationships time, people serve their intent and purpose for a season. Some seasons are long, some short. Some relationships endure but change, others just end. There are many people who have come into my life and left that have no contact with, some cannot even recall their names to look up on Facebook or elsewhere if they were even there. However, that does not diminish at all the value of that relationship. Some people we let in to the deep stuff others just kept to surface, but the people we come across we touch and they touch us in some manner. The thing is to be thankful and grateful for the people who come and go and what they give you and you give them. For each relationship is precious. For those that have been true friends in my life thank you for what you have given me and I have given to you. So today, a parting as my best friend leaves for Oregon. The question then becomes what is next as move ahead and what the next season brings. The important thing is to stay open and engaged and be willing to move beyond self and connect. For there are blessings for self and others in doing and where God’s love is demonstrated, others are drawn to Him. Today, Wednesday is considered the day historically the Passover feast occurred known as the Last Supper. One can imagine with the events that occurred and the place being provided for the meal as directed by Jesus that there was great anticipation by the disciples. Surely Jesus would explain what was going on. Essentially he did just that and it was only realized later by the disciples. See Jesus intended the day to be a day of remembrance. The Passover meal was already one God established as a day of remembrance, Jesus filled it up with meaning and gave the disciples images and lessons they would not forget in spite of everything to follow. Before looking at what Jesus did that was so memorable, it is worth briefly reviewing what Passover provided a reminder of: Salvation! It is the day the Jewish nation and all that were under the blood of the lamb to be saved from death. It was the day the Jewish nation was freed from the Tyranny of Egypt and all its gods. It was a move from the way of the world to the way of God. The Passover meal brought all this to reminder every year. The point of this article is not to review all the Passover gives remembrance of, but to focus specifically on what Jesus added to the memory. (It is worth the time to do a search and examination further of the messianic Passover symbolism and encourage all to take time to do such examination.) There are four key memorable moments that are worth highlighting: the identification of His betrayer, the call to remember the bread and wine, not drinking the last cup, and the washing of the disciples feet. The first key moment of memory is when Jesus identified Judas as the betrayer and he left. Jesus told them someone would betray him, none pointed at anyone else, all wonder if it was them. Jesus did not directly identify but did with symbolism. The one who dipped into the bitter herbs the same time as Jesus, Judas was identified. Judas then left. Certainly the disciples remembered that act, but also had it fresh in their minds their own ability to do such an act. For they all questioned and the memory would stick. The second point of memory is when Jesus declared a specific point of remembrance: the taking of the bread and wine. Unfortunately some of the meaning has been forgotten in the church as a whole. We remember the symbols of blood and wine, but we lose the important and central part of Passover Jesus was pointing out. The bread consumed was the “afikomen.” It is the last thing eaten. It is the bread broken and hidden. When Jesus broke and ate this bread, declared it His body, He declared himself as Messiah. He declared the coming salvation through His death and resurrection as symbolized by that element of the Passover meal. The wine was the third cup known both as the cup of redemption and the cup of blessing. [i] When he drank this cup, called it His blood, he declared His blood the source of redemption and blessing. He then made certain He proclaimed himself as Messiah and set forth significant points of remembrance. One memorable element to the disciples but clearly forgotten in the church today is that Jesus did not drink the final cup, the cup of praise. He state he would not drink of the fruit of vine again, until His Kingdom comes (Luke 22:18). It is said that Jesus will finally drink the fourth cup after His second coming after His wrath has been meted out and the millennial reign begins. One of the reasons it is easily forgotten, as it has yet to be fulfilled, it is coming and there are many other images and thoughts that fill our mind than the drinking of the fourth cup. 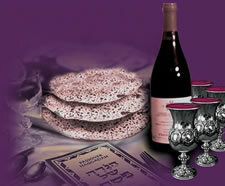 It would be fresher in our minds if the church had not set aside the participation in the Passover feast. The finals act of remembrance worth commenting on was Jesus showing himself a servant and washing the feet of His disciples. Now there is plenty of moments of “washing” in the Passover meal, and the meal finishes with that ceremonially washing. Jesus took further. He took the meaning of the cleansing the washing a step further, to illustrate He was humbling self, serving us, and would clean us wholly. It was an astounding act unheard of, unthinkable. Peter was so taken a back that He wanted to refuse to let Jesus serve Him in such a way. The impact of the message definitely stuck with the disciples. Now, there is much more that went on at the last supper that Jesus gave the disciples to remember. He spent great deal of time teaching and explaining, trying to clear their confusion and redirect their expectations. Jesus did this day what He set out to do, created a time that would be remembered and examined, pointing to what He was about to do and gave meaning to the Passover meal. God wants us to remember and we do, even though what we remember has been reduced and diminished. We still take time each year to remember. God sent His son to die that we might live. Sure we miss plenty, but we still remember and thank God for the gift of the eternal Passover lamb, the eternal afikomen, the eternal cup of salvation and blessing. He died, so that all who turn to Him shall live, just as all who lived who came under the blood on the doorpost. The question for each, has the blood of the eternal Lamb been set on your doorpost, are you marked within so you may live. Now is the time, while it is still today, to consider and act so that you may be saved. And if you have your doorpost marked, celebrate and remember for He has freedom us from the tyranny of sin and death and given us true life.